If you’re a gambler, nothing matches the feeling of a winning streak. Whether you’re playing craps, roulette, Pai gow poker, or any other casino game, the sensation of making money with each roll of the dice, hand of cards, or pull of the arm (for slots), is exhilarating. But it’s more than just about money. It’s about the thrill and excitement of having lady luck on your side. Once you experience that state, it becomes intoxicating. You want to experience it again and again. So you continue to play, hoping to duplicate your success. The problem is, the odds on casino games always favor the house. Winning streaks, an irregular occurrence, are short-term in nature. Sit at a table long enough, and you’ll eventually lose. Having said that, the odds and house edge vary by game. Some games, like blackjack, give the casino a razor-thin edge. Other games have odds that are so bad you may as well wager “tails” on a coin toss using a two-headed nickel. 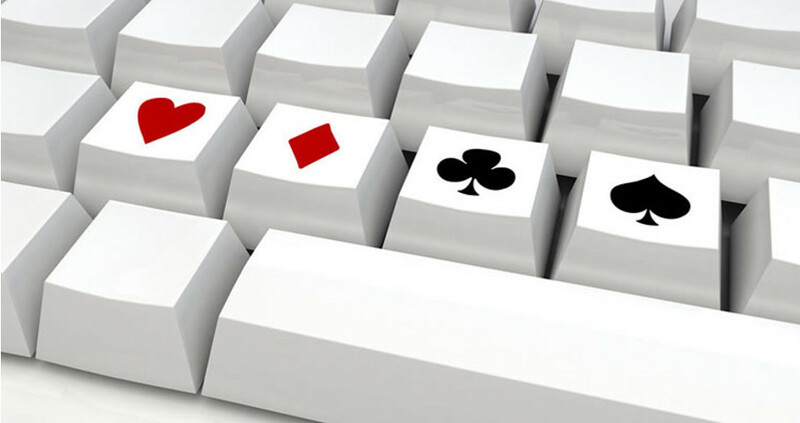 So which online casino games have the best odds? Which ones give you the best chance of winning? You’ll find them listed below. First, I’ll highlight the casino games that have the lowest house edge. I’ll then cover a few that give the house a slightly bigger edge, but are still worth playing. Finally, you’ll learn which games to stay away from, so let’s dig in! These are the games experienced gamblers tend to gravitate toward. They pose the slimmest house edge, and thus give people the best chance of walking away with a profit. It’s worth underscoring there’s no guarantee you’ll make a profit. The house always wins in the long run. But if you’re looking for games that give you the best odds in the house, these are the ones you should play. Here, I’m referring to the classic game – simply blackjack. The house’s edge is only 0.28%. That’s assuming the dealer hits on soft 17 and you’re allowed to double on any two cards. It also assumes you’re using a basic blackjack strategy. The house edge on blackjack is slightly higher than 0.28% at most online casinos. That’s due to the fact that you’re typically unable to re-split Aces and there’s no late surrender. These variants are fun to play and offer attractive odds compared to other casino games. But the odds aren’t as good as they are on classic blackjack. If you stick to betting the Pass/Come line and taking odds, the house will have an edge of only 1.41% If you bet the Don’t Pass/Don’t Come line with odds, you can shave it further to 1.36%. That’s not as low as blackjack, but it’s still remarkable compared to most other games. In fact, it’s one of the reasons so many veteran gamblers love craps. But there’s a dark side to the game, and unfortunately lots of folks fall victim to it. 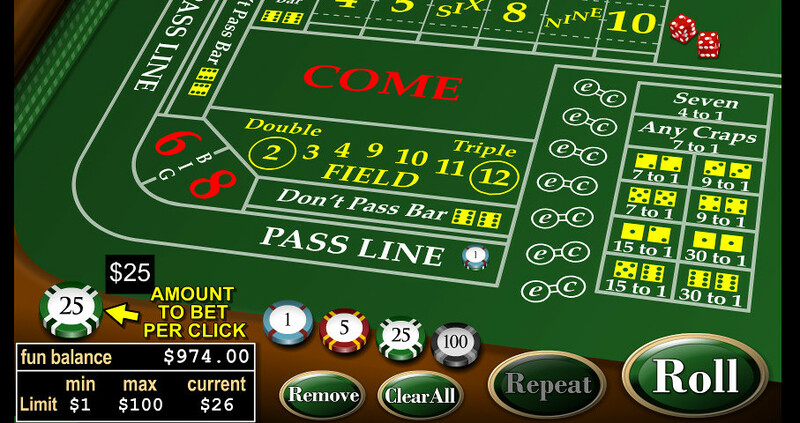 Craps allows you to wager on a variety of outcomes. From field bets and hardways to Big 6, Big 8, and Any Seven, there are numerous ways to put your money at risk. If the house edge on these wagers was the same as the Pass/Come or Don’t Pass/Don’t Come with odds, there wouldn’t be a problem. But the edge on these bets is sky-high. For example, a hard 4 or hard 10 gives the house an 11.11% edge. Any Seven gives the house an even larger edge: 13.89%. But if you stick to the Pass and Come (or Don’t Pass and Don’t Come) while taking odds, craps is one of the best games in the casino. In terms of the lowest house edge, the variant to focus on is Jacks or Better. If you can find a casino that pays 9:1 on a full house and 6:1 on a flush (known as “full pay”), you’ll enjoy a house edge of only 0.46%. That again assumes you use a basic playing strategy. Baccarat has an air that intimidates folks new to the game. It looks complicated. In reality, it’s simple to play. And in the context of casino games with a low house edge, it’s among the best of the lot. Playing the gam as the player (as opposed to playing the banker) gives the house an edge of only 1.24%. That’s better than craps. I’ve created a tutorial explaining how to play baccarat, so there’s no need to rehash the rules here. But it’s worth pointing out there’s a heavy element of luck in playing the game. That’s a good thing. Along with the game’s simplicity, it means you can quickly become a proficient player. Like baccarat, a lot of folks are daunted by Pai gow poker. In their defense, the game is slightly more complicated than other casino games. If you know how to play traditional poker – or even 5-card draw – you’ll have no problem learning how to play Pai gow poker. The thing that surprises a lot of people is that the game has a low house edge. It’s only 1.46%. That assumes you’re using an optimal playing strategy and making half your bets as the banker. (Playing the banker allows you to bet against other players.) Because most online casinos won’t allow you to play the role of the banker, the effective house edge is slightly higher than 1.46%. But it’s still low compared to other games. The following games give the house a bigger edge than blackjack, craps, Jacks or Better video poker, baccarat, and Pai gow poker. Keep that in mind so you’ll have the right expectations when you play them. Personally, I enjoy playing these games. Although the odds of winning aren’t as good, they’re still a lot of fun. And who knows? You may hit a winning streak that causes your bankroll to balloon. Many people assume roulette gives the house a big advantage. That may be true for American roulette, where the wheel has both a zero and double-zero. But it’s not the case with European roulette, where the wheel doesn’t include a double-zero. What does its absence mean in terms of the odds? American roulette gives the house an edge of 5.26%. By getting rid of the double-zero, European roulette reduces the edge to only 2.70%. If you’re going to play roulette, stick to the European version. It’s just as much fun to play as American roulette, and you stand a better chance of winning. Let It Ride has a house edge of 3.51%. That’s neither great nor terrible. If you’re like me, the less-than-stellar odds won’t matter much. You’ll find that the game is a lot of fun to play. It looks easy at first glance. And once you know how to play it, it IS easy. But there’s a small learning curve. Keep in mind, you’ll need to use a sound playing strategy if you want to reduce the house’s edge to 3.51%. I cover that strategy in my Let It Ride tutorial. Bottom line: the odds are less than ideal, but it’s a fun game that offers a welcome break from popular table games like blackjack, craps, and roulette. I love Three Card Poker. It’s easy to play and moves fast. And if you use a basic strategy, you can shave the house’s edge to a reasonable 3.37%. Of course, that’s not as low as the edge in blackjack, craps, and other games mentioned in the “Play With Confidence” section above. But you’ll find that once you start playing Three Card Poker, it’s addictive. A quick word of caution… It’s possible to play hundreds of hands per hour. But remember, when you play online at websites like Bovada Casino, you set the pace. So relax and take your time. If you’ve never played the game, don’t worry. It’s not difficult. First, check out my tutorial on how to play Three Card Poker. Then, visit Bovada and play it for free (Bovada offers a great “free play” environment). Of all the games in the “Proceed With Caution” section, Caribbean Stud Poker is the one that almost didn’t make the cut. The reason is because it gives the house an edge of 5.22%. The reason I’ve included it is because it’s a lot of fun to play when you’re in the mood. If you’ve played 5-card stud poker, you’ll easily pick up Caribbean Stud Poker. The biggest difference is that it’s you against the dealer, not other players. Note that some experts say the 5.22% house edge makes the game seem to have worse odds than it truly does. For example, the Wizard of Odds uses an “element of risk” measurement, which he claims recasts, and significantly lowers, the game’s risk factor. Visit Bovada Casino and Slots.lv. Both have been on my “favorite online casinos” list for a long time. Both are legitimate and offer no-risk, free-play environments. Play Caribbean Stud Poker with practice money. Learn the ropes and see if you enjoy the game. If you do enjoy it, deposit funds into your account when you’re ready to make real-money bets. Of all casino games, War is the simplest one to play. In fact, you probably learned how to play it when you were a child. Here’s the thing that surprises a lot of gamblers: Casino War has a relatively low house edge. It ranges between 2.06% and 2.90% depending on the number of decks used and whether you receive a bonus on ties. That said, the odds shift heavily into the casino’s favor if you bet on ties. For those wagers, the house edge skyrockets up to 35% (assuming a single deck is used). Casino War is a fun game to play when you’re in the mood for something simple. It requires zero brain power. Some games offer such terrible odds that you may as well buy a Powerball lottery ticket. Playing them is like flushing your money down the toilet. Most of them are given the cold shoulder by gamblers. So they’re hardly worth mentioning. But one of them, for some strange reason, continues to be popular. Keno. This is a great game to play if your goal is to give your money to the casino. It has a house edge of 25%. Think about that for a moment. For every dollar you bet, you stand to lose 25 cents. And that’s the minimum. Some casinos enjoy an edge of 35% or more. Why on earth do people play Keno? It’s not even fun. Unless you’re a masochist or glutton for punishment, I strongly recommend staying away from Keno. What Are The Odds For Online Slots? Casino slots are a mixed bag when it comes to the house’s edge. The odds of winning over the long run are determined by the game’s manufacturer or software platform if you’re playing online. There are countless types of slots. The games vary by the number of reels, number of paylines, payout ratios for winning symbol combinations, and other factors. The house edge on slots generally ranges from 2% to 20%. The best odds are usually found on the simple 3-reel machines. The worst odds are found on the progressive jackpot slot machines. Let’s recap. You now know which online casino games offer the best odds, which ones offer pretty good odds, and the one game you should definitely avoid (I’m looking at you, Keno). 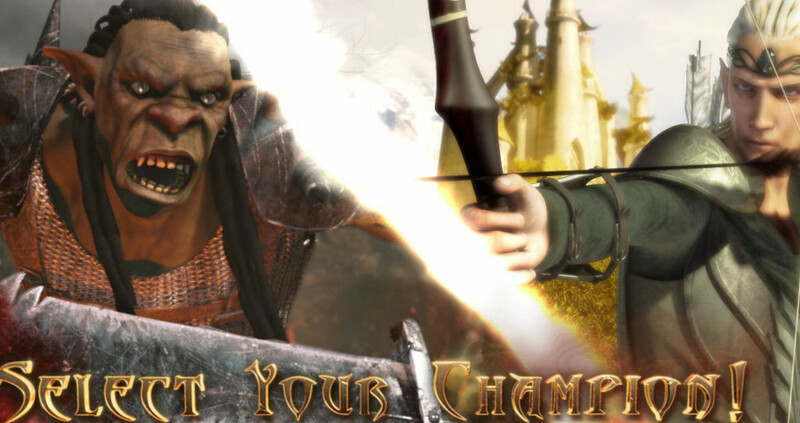 It’s worth underscoring that playing these games shouldn’t just be about making a profit. If that’s your only goal, buy shares in a mutual fund. But if you’re looking to have a fun, engaging, and interactive online casino experience, head over to Bovada Casino and Slots.lv. Register your accounts and test drive their games. I have a feeling you’re going to love the experience.